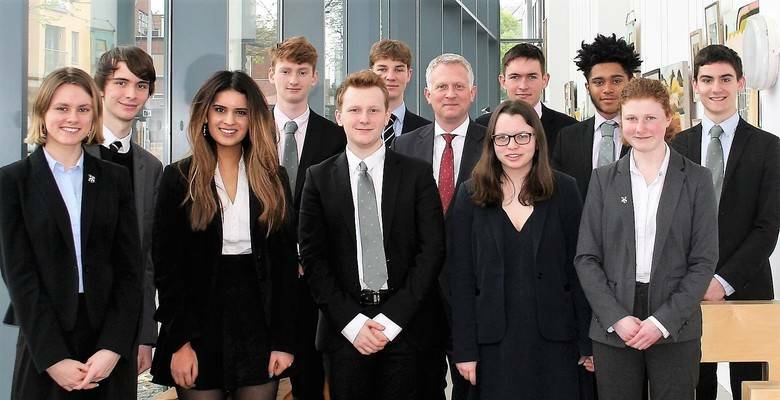 Kingston Grammar School is proud to announce that eleven students from the Upper Sixth have been made conditional offers for medical and veterinary school this year. They represent 10% of the year group cohort, the highest proportion receiving such offers in recent years. The up-and-coming medics and vets have received a sum total of 26 offers from the following medical schools: Oxford, Exeter, Edinburgh (3), Brighton & Sussex, Birmingham (2), St George’s (2), Bristol, Manchester, Glasgow (3), Southampton, King’s College London (2), Queen Mary London (2), University College London, Imperial, Sheffield and Nottingham. Offers have also been received from Surrey and Nottingham Veterinary Schools. The students holding offers are Kate Jarvis, Tomos Morgan, Rebecca Holt, Thomas Sweeney, James Adshead, Anya Aziz, Joe Rona, Will Garside, Will Holman, Hakeem Shittu and Kate Scott-Taylor.